We first saw the KHS CX550 Team up close and personal at Interbike last year and we liked what we saw. But short of a full-fledged test ride, we couldn’t be sure about anything aside from the build and appearance. 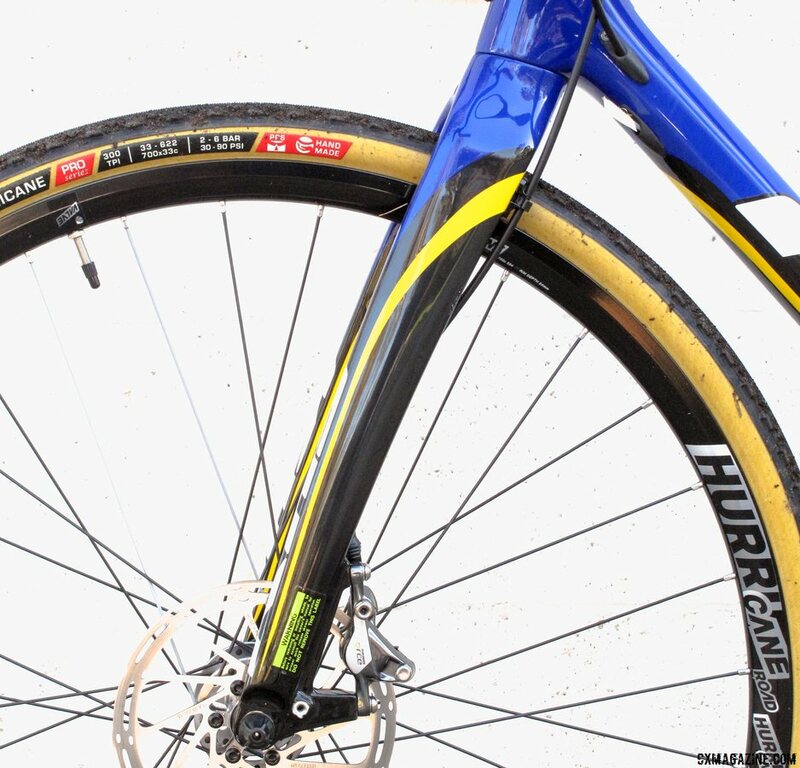 We now have KHS’s cyclocross superbike in for testing and our initial impressions were mostly spot on. 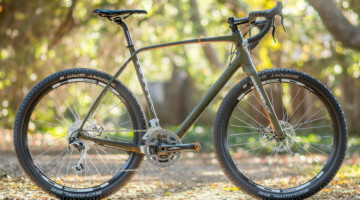 KHS was previously known for performance mountain bikes, but offered the aluminum CX300 that we reviewed in both its cantilever and disc brake versions. KHS initially jumped into the high-end race bike market with the CX550 team at the end of 2014. And former Masters Worlds and National Champion Rebecca Gross was on KHS this past season. And now the carbon CX550 Team is finally on our shores and with an updated, flashy paint scheme to boot. 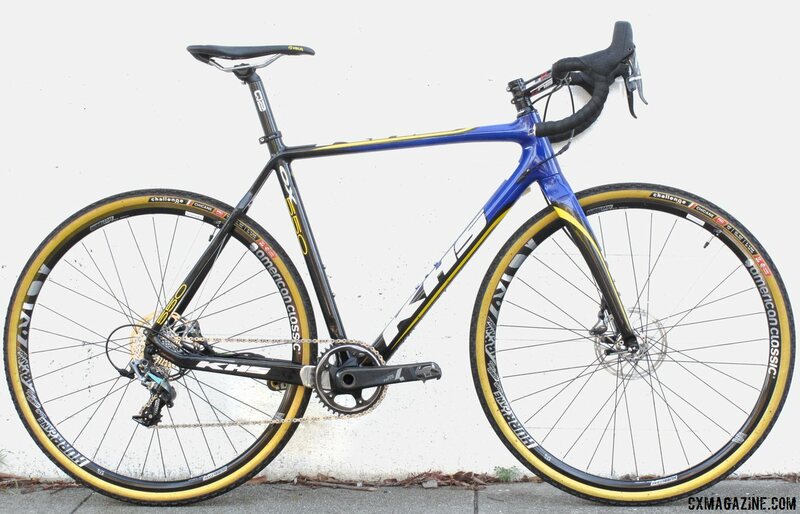 The KHS CX550 Team is constructed from the company’s T800 carbon fiber. 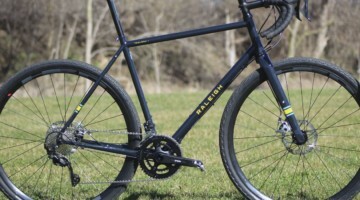 It features a full-carbon tapered fork and comes in four sizes. Our medium sample sports a 56cm effective top tube length with a slightly slack 71.0 degree head tube angle, coupled with a 72.5 degree seat tube angle. 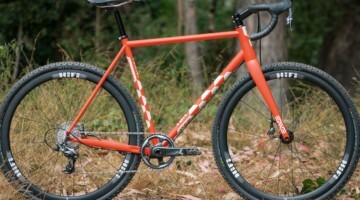 The chainstays follow current cyclocross norms measuring out at 42.5cm and the bike features a 7cm bottom bracket drop. One of the highlights of the bike is tire clearance, as you can see in the photos. Down by the bottom bracket, in the seat stays, and between the fork blades there’s plenty of room for either mud or fatter rubber. We could fit a 40c clincher on the bike without issue. 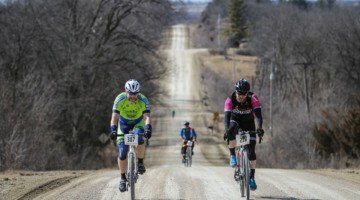 If you live in a muddy environment, you’ll be pleased with the mud clearance, and if gravel is your thing, it should fit many of the newer, bigger gravel tires. 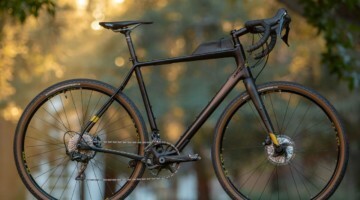 Showcasing the versatility of this mold, KHS also offers the CX500 and gravel-oriented Grit440 carbon bikes with the same frame geometry and shapes as the CX550, but are laid up with slightly lower modulus T700 carbon. 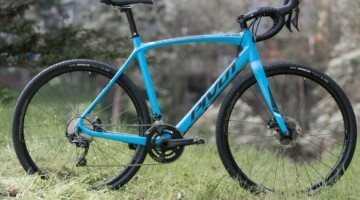 The CX500 and Grit440 differ in that the latter is built up for longer gravel events, with compact double chainrings and TRP Hy/Rd cable-to-hydraulic brakes instead of a ‘cross double and Shimano hydraulic RS785 calipers offered on the former. Remarkable at this point in time for a disc-brake equipped bike is the inclusion of a standard 68mm threaded bottom bracket and quick release wheels both front and rear with 135mm rear spacing. 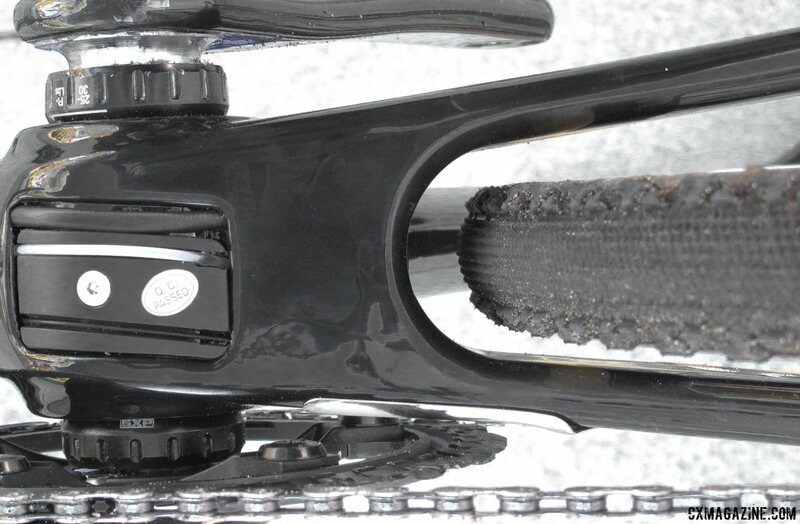 The threaded bottom bracket necessitates an aluminum insert in the carbon shell for the threads. But you can be assured, in our testing, the bottom bracket did not creak and was maintenance free. And while most of the pro peloton racing disc brakes still uses tubular wheels with quick releases, if you don’t own a pair and rather race tubulars, many quick release wheels are available, while other thru axle wheels can be converted with a change of end caps. Assuming it’s not muddy, you could literally walk out of your shop, head to the race, and be really happy with each component choice on the KHS CX550. Out of the box at 17.3 pounds and is race-ready with American Classic Hurricane wheels shod with Challenge Chicane open tubulars and a full SRAM Force 1 HydroR set-up with a 40 tooth front ring matched to an 11-28 cassette. 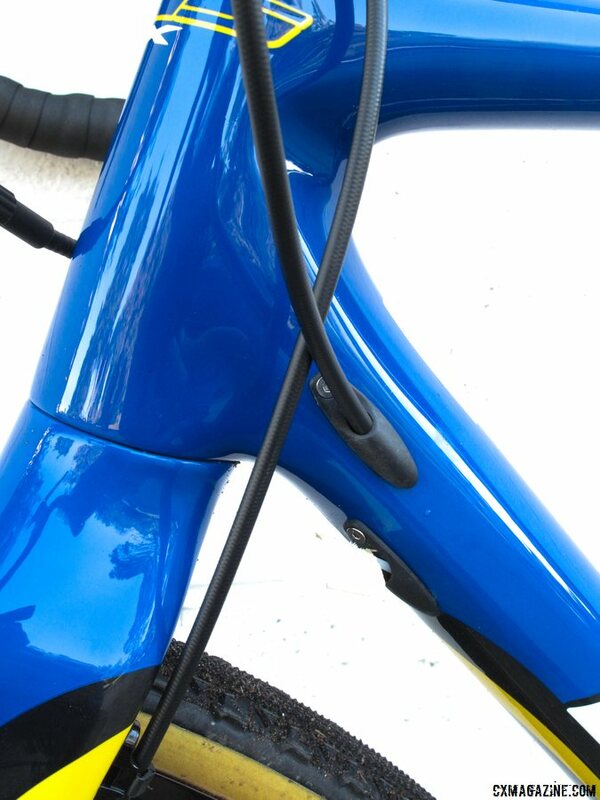 The bike even has an FSA SL-K carbon compact bend handlebar contributing to the gossamer weight. It has a nice bend and profile, and keeps the front end light, although traditionalists and conservative racers may scoff at the material choice in this area. The Hurricane is not a particularly lightweight wheelset, with a claimed weight of 1,646 grams for the pair, but is durable with 32 spokes front and rear. It is also known to be an excellent wheelset for tubeless use, and you can initially shed a few grams by dropping the tubes, but not with the included open tubular tires as the casing will not seal. 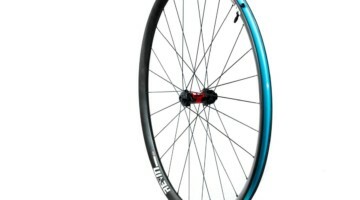 The bike can be brought down to sub-17 pounds easily though with a set of race wheels, such as carbon tubulars or even lighter tubeless options (such as the American Classic Argent, or Industry Nine CX Ultralight), but KHS should be commended for providing one of the better tubeless wheelsets, and fast, supple clinchers. Both are great choices, but for racers who want to go tubeless, a set of tubeless tires with tape and valves would be a convenient choice. Wear out the non-tubeless Chicanes, or use them with a latex tube before swapping them for a tubeless clincher for better pinch flat and thorn protection. For its part, the SRAM Force 1x drivetrain build is decidedly race-oriented. The CX550 is ready to head to a (not very muddy) race, and out-of-the-box it’s one of the lighter stock bikes in its price range that we’ve tested. The KHS CX550 really doesn’t need a boost right out of the box, it has a lot of spirit just as it is. Swing a leg over and hold on tight, the bike takes off with your first pedal stroke. The bike’s racy feel is added to by the nimble steering and light weight, but the rear end has to be able to transfer your power effectively. Does it make the most of a rider’s power output? We’re going to put the bike through some paces and have a full review in our print magazine. You can subscribe here for less than a race entry fee. Solid bike. Good price point. No TAs? Kinda blows my mind how many CX bikes still don’t have them.